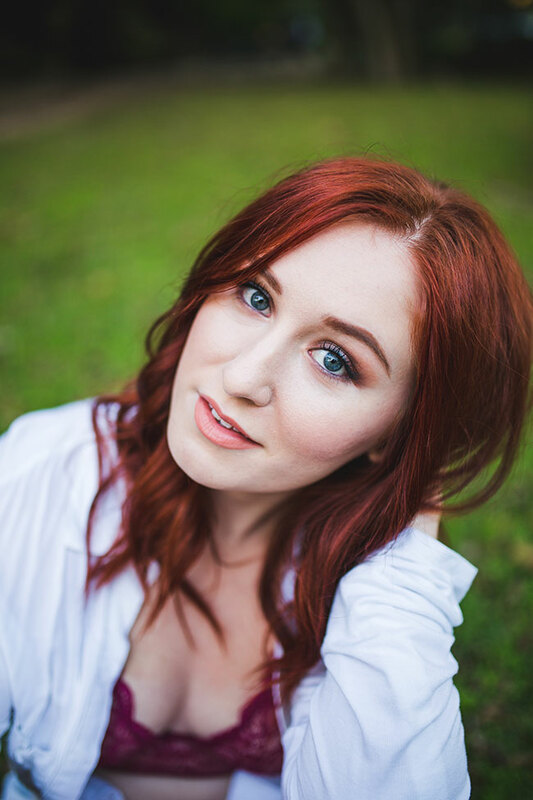 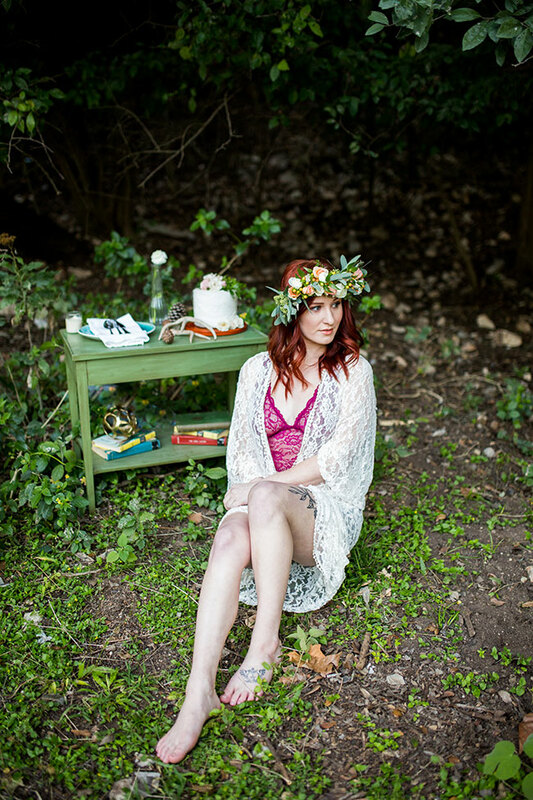 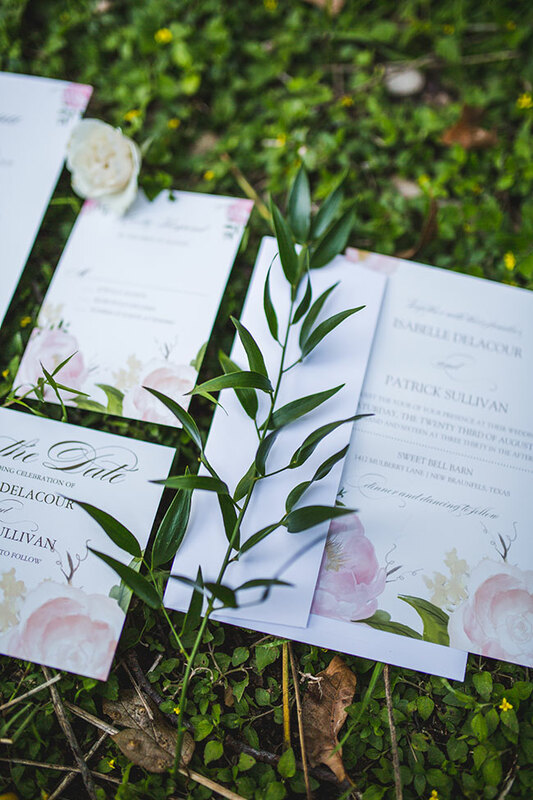 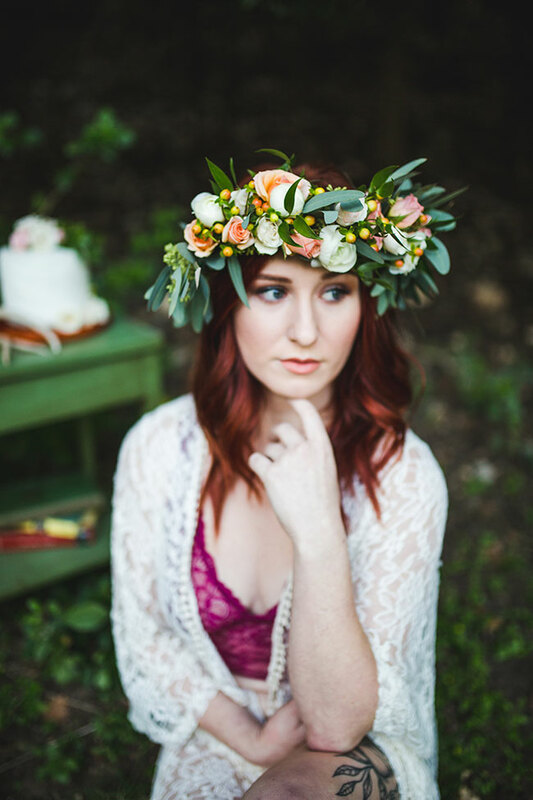 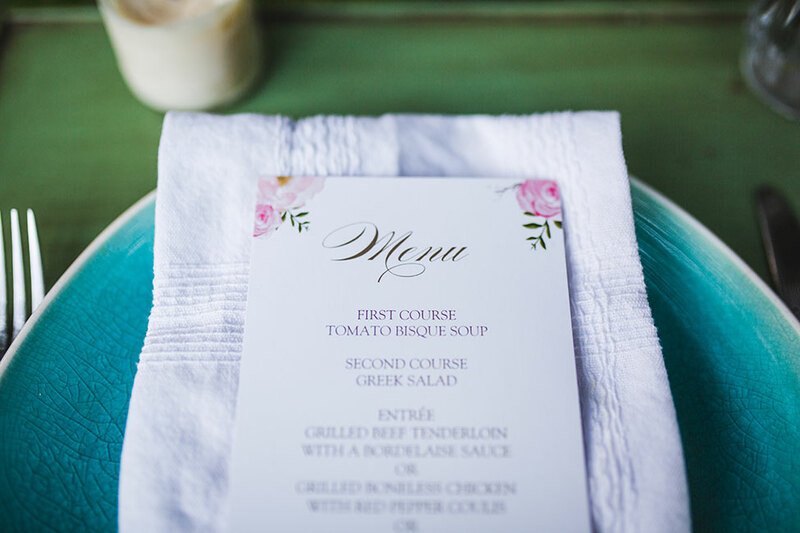 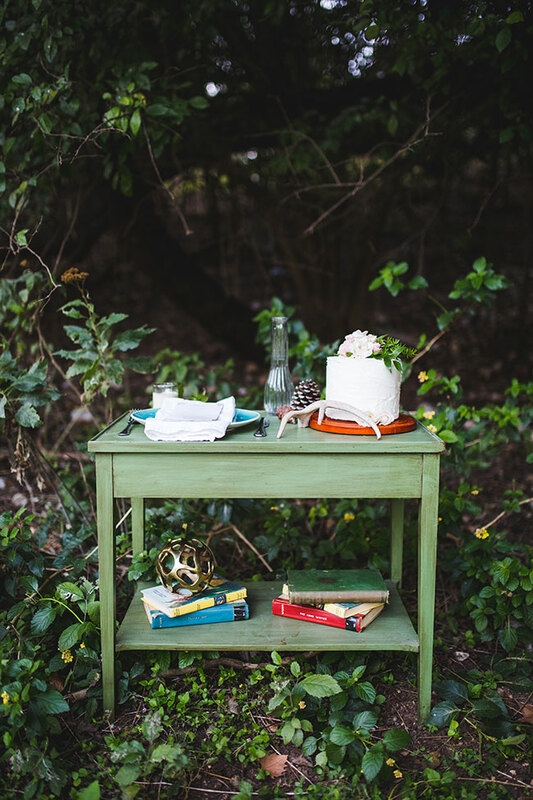 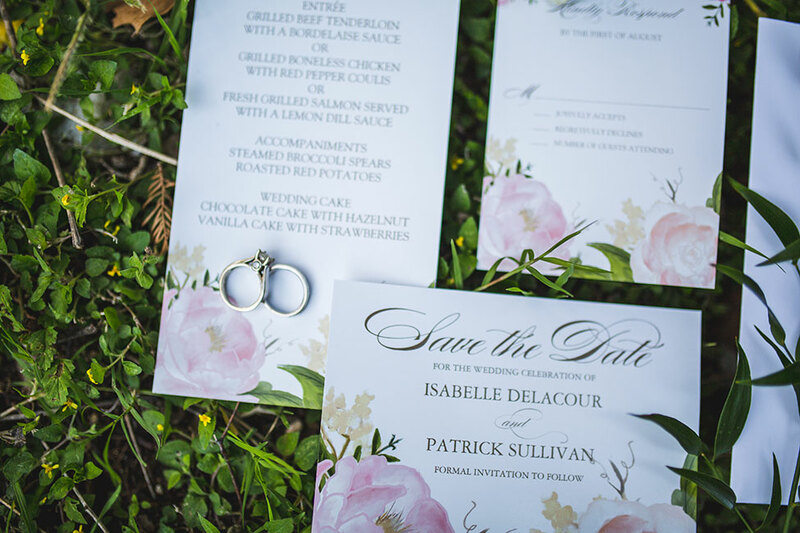 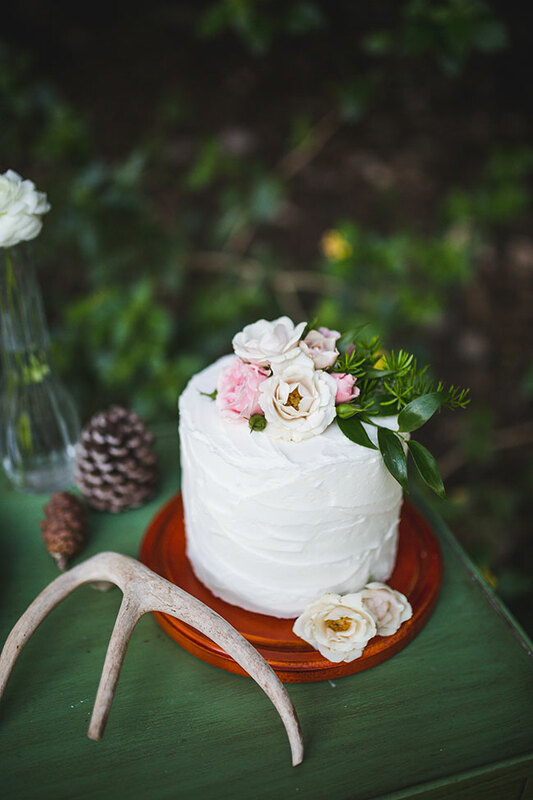 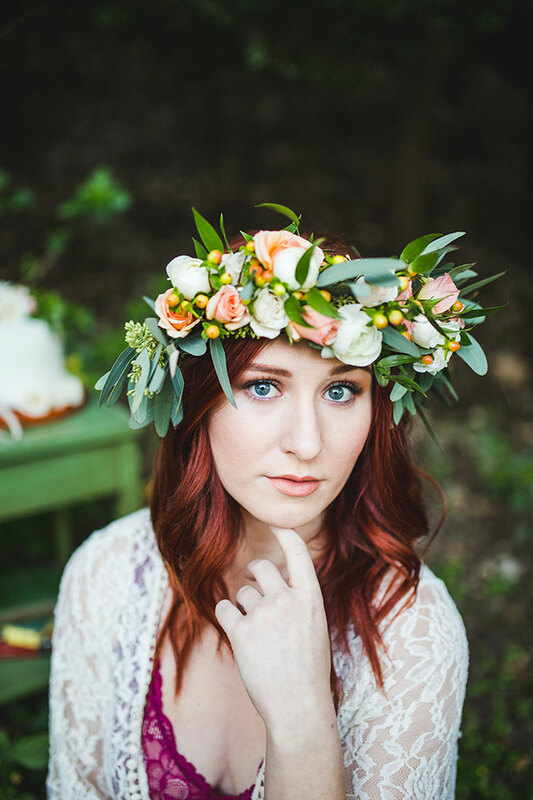 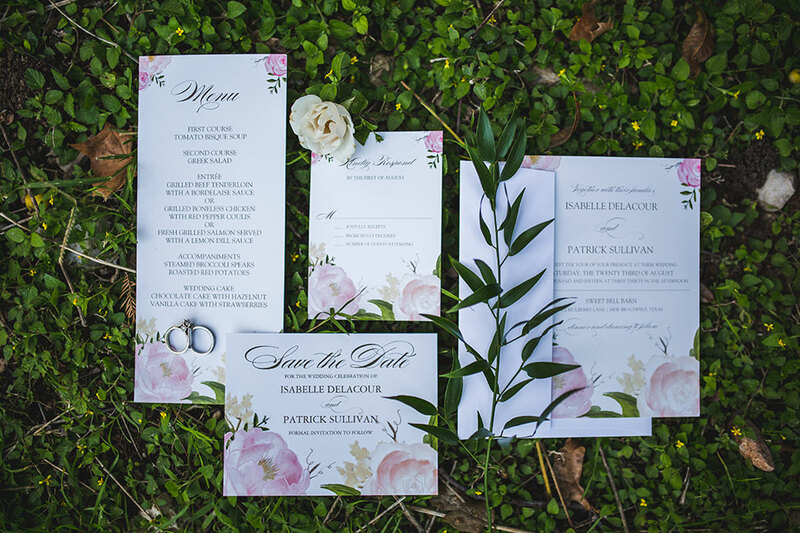 There are so many sweet little details to today’s garden boudoir session from Texas wedding photographer Pine and Blossom Photography that I am practically in a dream state just looking at it all! 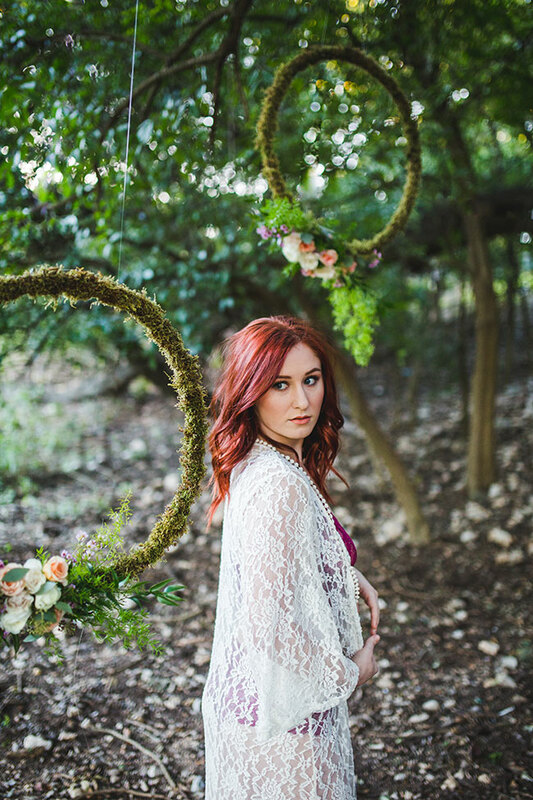 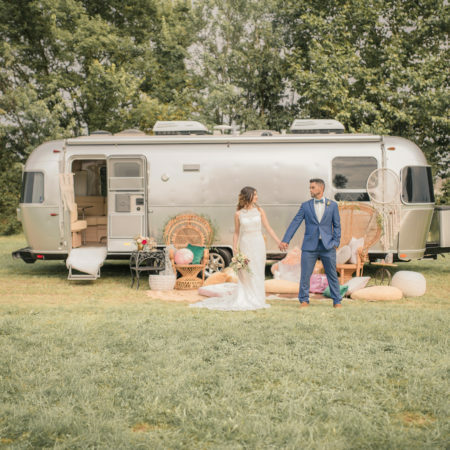 With only a short window of around 30 minutes to shoot before sunset, the Texas wedding vendor team, which also included florist Marion’s Orange Poppy and makeup artist Makeup By Kim Ramirez, transformed their private residence locale into something right out of the movies. 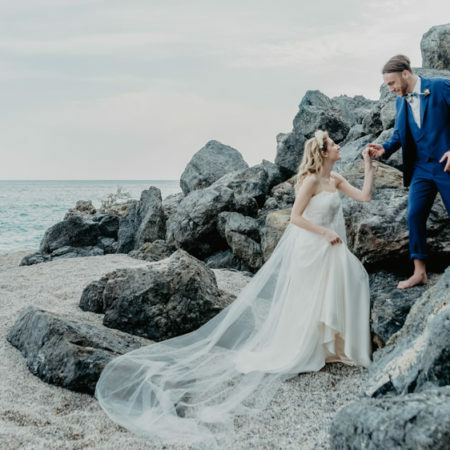 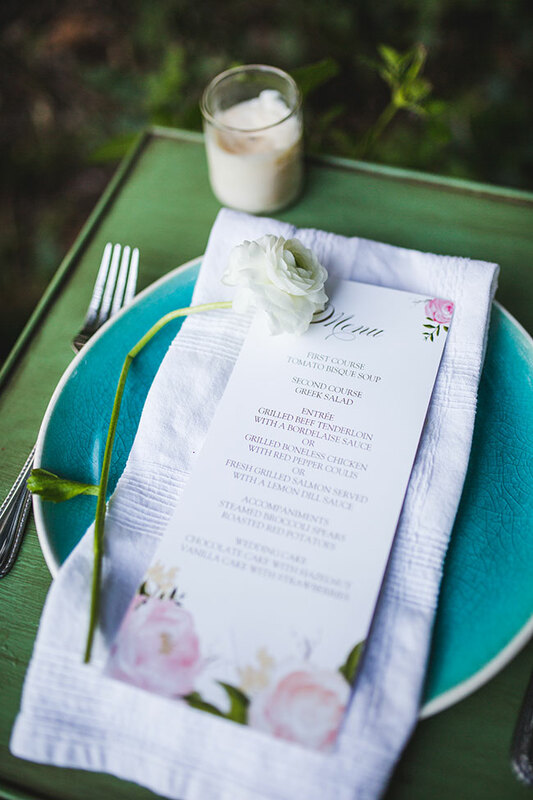 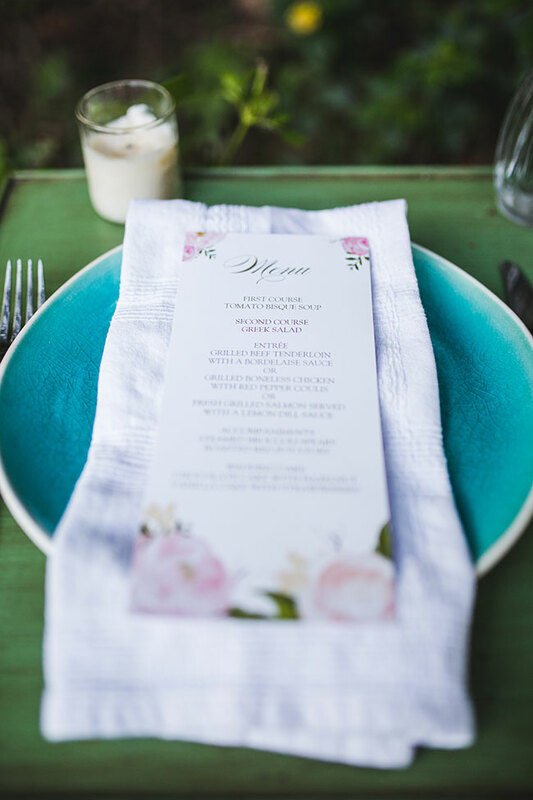 Set along a babbling brook, a simple table was set which featured boho wedding details like a texture whipped wedding cake topped with real blooms to a simple blue crackle plate place setting. 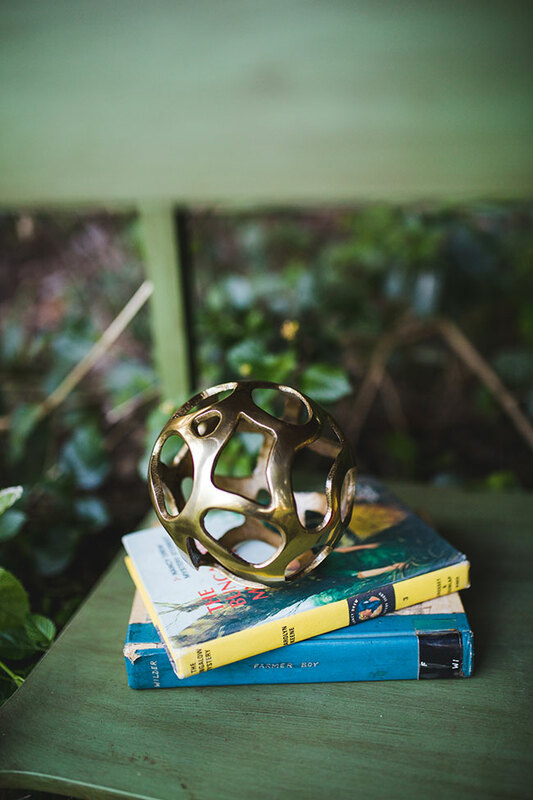 Vintage books, along with a gold geometric piece were combined with a few naturally found elements from their surroundings to complete the simple setup, giving maximum design impact! 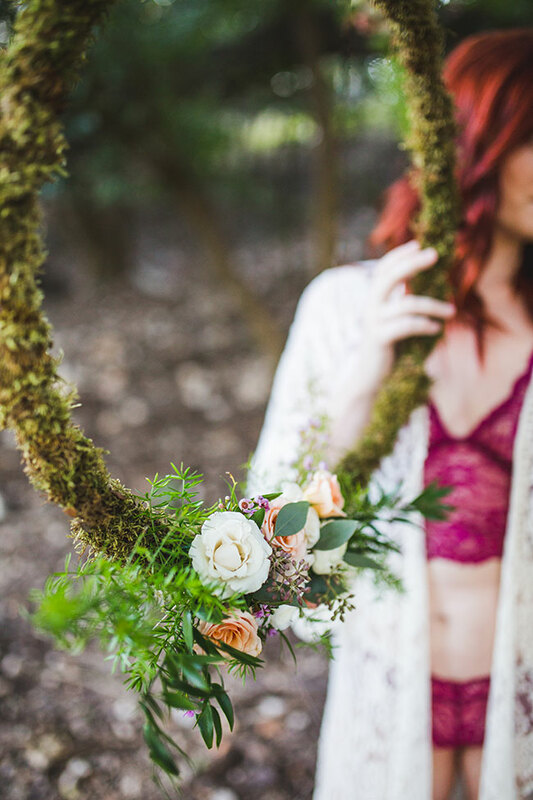 Moss rings dotted with floral clusters were suspended from the trees above, creating the perfect garden boudoir playground for our gal. 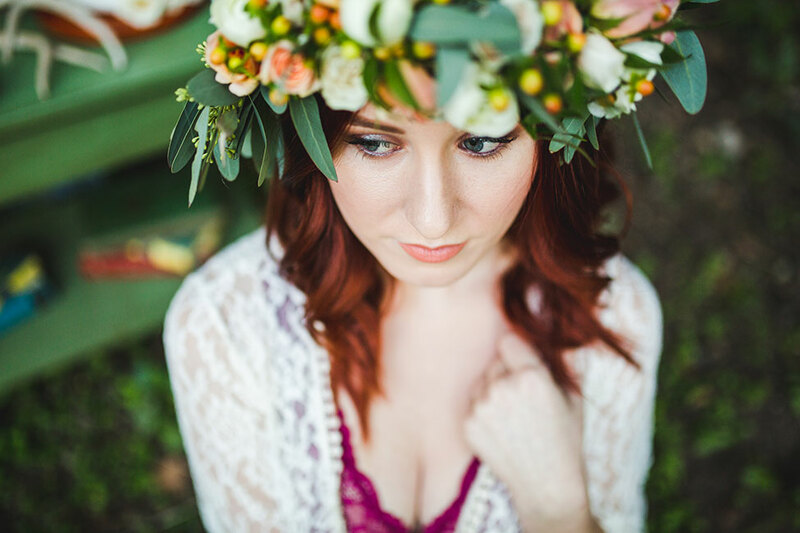 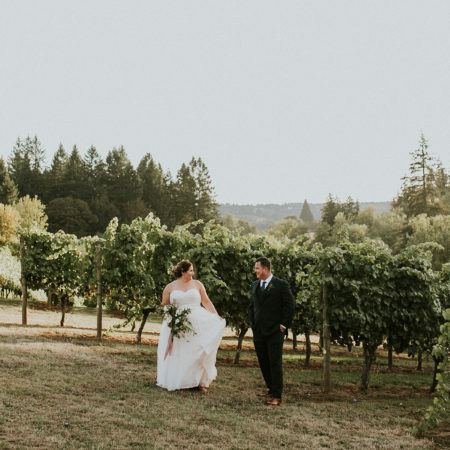 The rest was all about the easy, beautiful, and slightly moody moments that gorgeously captured her spirit. 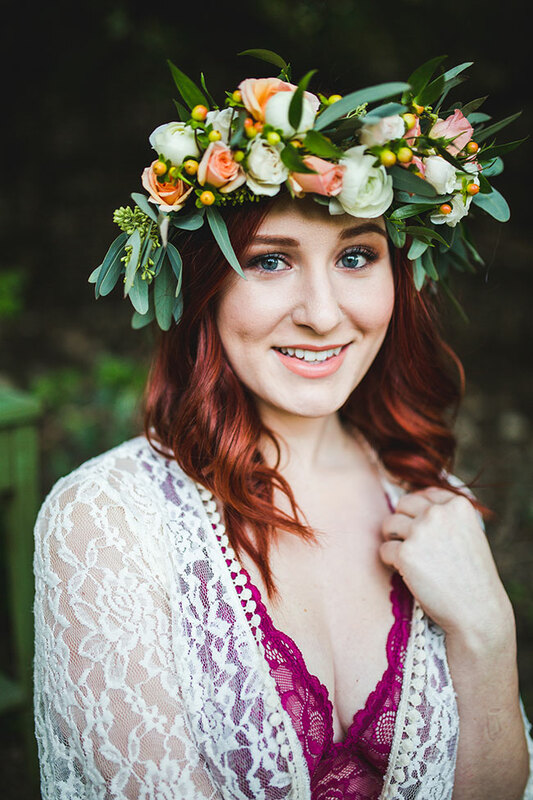 As if all of that wasn’t enough, our brave lady headed into the babbling brook for a few prize shoots, some of which are easily favorites of mine!